^This tag does not really have the feel of Angels and Demons to it. True the stock used was of A&D but the person has made it so that its no longer about A&D. Feels more like a lovey dovey couple tag. I noticed as well. IMO most of the entries failed to execute the "angels & demons" theme. yeah...thats why my vote is very reluctant. oh and 1 more thing. entry 4. Looks like a repeat of Hadriel's case isn't it? 1) We're thinking of combining the current SOTW thread and the "Vote for the next SOTW theme" thread so as to reduce the number of threads created each week. The new format will be like this: The new SOTW in the thread body, plus the next SOTW theme voting as a poll. 2) We're thinking of adding a Theme Bank thread for everyone to contribute to. That way, the "Vote for the next SOTW theme" thread won't be so cluttered (if it even exists after you decide on the changes). Entry 2 GMV. Now thats what I call color splash! And awesome text! Actually, Colour Splash means having monochromes and either one or two non-monochomatic colour. Colour splash =/= colourful piece. hmm really? Color Splash and monochrome seems so far apart..
nya.~ Gotta get my GFX terms right..
Well, that's what darky says, and you know how good darky is at GFX ._____. Anyway, answer the post above! 1) Rejected. I've no power to edit the polls unless it's Franky doing it. I find that way too confusing. 2) The Vote for the next SOTW theme isn't that cluttered atm. The Theme Bank thread sounds more cluttered to me. I'm still an amateur, Master! To be precise, it should of contain a distinct colour (or more than one, max 3, I suppose) in a monochromatic background. The pictures in the spoilers are the best example. or you could also be humble and realize that everyone is not knowledgeable about the same things. I took the word "colorsplash" for face value because I did not know. I was not being self-assuming, or trying not to learn, i simply didnt realize there was a thing to be learned. Just because you heard of it doesnt mean a thing for everyone else, I knew of it as well, but didnt know what it was called or even that it had a name. You are being quite harsh towards us for mis-understanding as if we decided not to understand on purpose. Oh. Hey people. This statement alone indicates that this Rascal joined. So to all the friends of Rascal, please vote for him. Ohohohohohohohoho~ Ahahahahahahaha. Enough joking from me. It is clearly making me laugh enough to make my stomach hurt. I clearly stated the options in my statement. Google or ask in the questions thread. I still stand on my statement that it is being assuming. Either way, if you still insist to reply after this. Then go. I'm not being rude but discussing in a thread labeled "Voting" is RUDE to the precious rules of this place. And again, if you still insist, then I highly suggest that you suggest to the dear staffs to make a discussion thread for all the future SOTWs of this precious place. Color splash. People it is color splash, people. COLOR SPLASH. I highly disagree with Lily on this case. It's what you call laziness. Even if you do not know, you could've had asked or at least googled it instead of being so self-assuming that you know all. Better learn to learn people. I haven't been GFXing yet when I first heard this color splash trend. It is just so unbelievable on how all of you could manage tags like this but refuses to at least ask for a clarification or research. Don't be so much self-assuming people. BE HUMBLE. I highly suggest that you change the name of the theme instead. Either way, #4 GMV. For perfectly executing the theme. The colors are very subtle. Though the colored parts could use more masking. EITHER WAY, IT IS A PERFECT TAG IN THIS CASE. P.S. 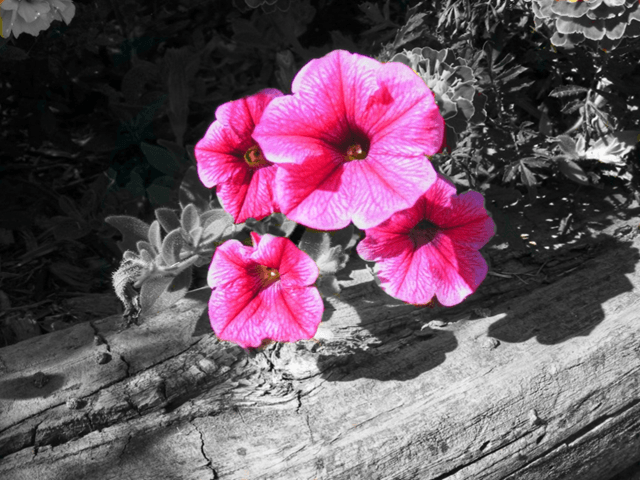 Here's a photo of a color splash. Omaigosh~ Now I know what planet you live. It is called Doubtlessislicus-facevaluesicus or more known as the worththefacepalm planet. If you can't be an expert GFXer like me then asking an expert is something the beginners should do than let alone, assuming that everything taken from their face value's viewpoint is always right. [MENTION=113]Maria. [/MENTION] no need to act such way :/ the theme stated 'Color Splash' and didn't say anything about how it should be executed. Either you mean the color splash as in a splash of color on a monochrome background, or as in this case, a tag with color splashes. It's about interpreting and as no other guidelines where given you cannot complain how people interpreted it. So don't say they should look it up when no one said anything about having to be the traditional color splash most more experience GFXers, who know more about such things, are used too. Oh Gosh, can Maria talk in .. human? But besides the point. It's ridiculous of her to tell us to stop assuming while she is assuming that we should "look it up". I dont look up things that I know, or at least what I thought to have known. It's like telling us if the theme would be "circles" to look up the meaning of "circles". Honey, it just won't happen and is not realistic. When I think of Colour Splash I think of something colourful. That's it, plain and simple. I didnt doubt myself. I didnt think it might have been some sort of GFxing term. Besides I dont even participate in the SOTW, why should any bystander look this up? And how can any bystander judge these tags if they have no former knowledge of what the theme entails? All Ive asked is for the host of the SOTW to explain the theme in one line, maybe use an example. That's it. I do not ask more and it's plain sad to look down on people who ask questions. There are no stupid questions in life. Only stupid answers. Yeah, I shall elaborate more on the theme in the forthcomng SOTWs. which also means ppl should elaborate more when they suggest them ? ?